As directed by Sanparks no more than 8 guests are allowed on our safari cruisers in order to minimize the impact on our environment and to provide the best possible safari experience for our guests. 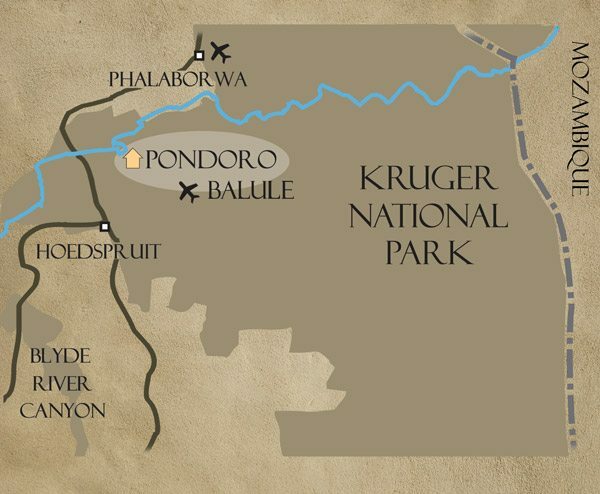 With no boundary fences between Balule Private Nature Reserve (50 000ha) and the Kruger National Park a great diversity of wildlife is found here. Game drives on our luxury African safaris traverse an area of 10 000 hectares (24 700 acres) and strict vehicle limits at sightings ensure the exclusivity of your game viewing experience. Off-road driving on most areas enables the best possible view of any exceptional sighting and rangers are constantly in touch with each other to keep track of animal movements. Our experienced guides will not only use all their vast knowledge and bush craft to try and show you the notorious Big Five (lion, leopard, elephant, rhino and buffalo) and other plains game such as zebra, wildebeest, giraffe, but they will do their best to paint memories of an Africa that will never fade away. For the more adventurous, a nature walk with an armed guide would add the thrill of encountering animals on foot. Guests wishing to book a private vehicle can do so for a fee of R7150 per day subject to availability. 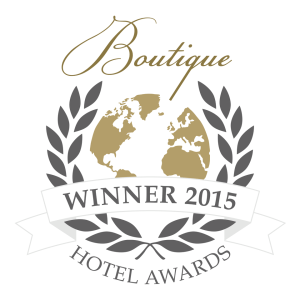 Booking beforehand is strongly advised. To sign up to our quarterly newsletter, please enter your email address where prompted in the footer at the bottom of the page and submit. Please view our blog category weekly sightings to get a detailed account of our sightings. Robbie was raised in the small town of Bothaville in the central part of South Africa. In 1997 he and his father decided to start a commercial lodge on the family farm in Balule Nature Reserve. 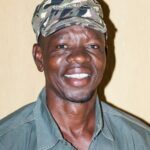 He is qualified as a local guide and has a trails guide, Advanced Weapon Handling and Viewing of Potentially Dangerous Animals on Foot certificates. He is also an avid amateur photographer and while his photographic gear gets bigger and heavier his arms and legs seem to stay as skinny as ever. 14 Years of guiding in the reserve provides him with an intimate knowledge of the area and the animals and their habits. Most animals grew up before his eyes and he knows a lot of them by name. His favourite animal is a mongoose called Wild Thing. 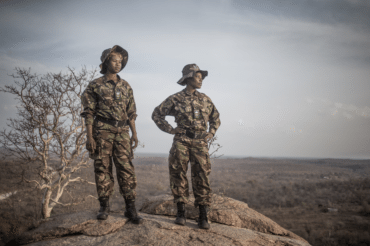 Andries was born in a small village called Mapulangweni in Mozambique where he learnt his tracking skills from his father while spending hours hunting duiker and steenbuck for food. He came to South Africa to escape from the civil war raging in Mozambique and is now a proud South African citizen. 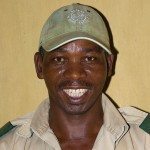 He started working at Moholoholo Wildlife Rehabilitation Centre where he stayed for 4 years. He then went to Timbavati Nature Reserve where he worked as a tracker for the next 14 years. He joined Pondoro 7 years ago where Robbie very quickly noticed his amazing tracking skills and he and Robbie have been an inseparable ranger/tracking team ever since. Andries' favourite animal at Pondoro is the young male leopard called Chavaluthu. America grew up at Welverdiend close to Kruger National Park. He started working in the construction industry and joined Pondoro in 2008 as a general assistant on the recommendation of Andries Ndluvu his father and stalwart tracker at Pondoro. His enthusiasm and hard work paid off as he started his training as a tracker early in 2011 under the supervision of Rul Ntemani. His training forms part of Pondoro’s vision of identifying and nurturing people with talent and to do in-house training to expand the skills of its workers. Eric grew up in Cottondale close to Kruger National Park. He started working at Ntsiri in Umbabat Nature Reserve after leaving school. 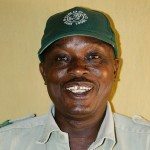 He stayed there for 6 years and his responsibilities were bush clearing and to repair areas of soil erosion. 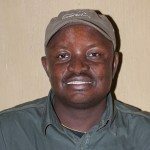 He then went to Tanda Tula in Timbavati Nature Reserve where he worked for 14 years as a tracker. Upon leaving he went to Pondoro and has been here for the past 6 years. 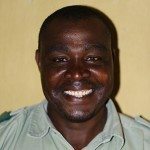 He brings with him a tremendous amount of experience and works as a tracker and relief ranger and is a firm favourite with guests. His favourite animal at Pondoro is the huge male leopard called Watsakile Madoda. Julius was born in Utah village next to the Kruger National Park. 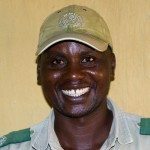 He started his career as a tracker at Mala Mala Game Reserve in 1983 and moved to Londolozi in 1987. He was promoted to a guide in 1996. Julius has Local Guide, Advanced Weapon Handling and Trails guide certificates. His favorite animal is a leopard called the Van Wyk mafazi. Remson grew up in the Welverdiend area which borders the Kruger National Park. His career started in the gold mines at Sabi in Mpumalanga. He got employment in the hospitality industry in 1982 when he was offered a position as a tracker at Motswari Game Reserve. He stayed there for the next 15 years learning and mastering his trade whereafter he decided to broaden his horizons and he worked at several other lodges before settling at Pondoro in 2010. With his ready smile and booming voice he soon became a favourite with guests and Pondoro staff alike. Rulani was born and raised in Mala Mala adjacent to Kruger National Park. It was during this formative years that he developed his passion for nature as well as the legendary tracking skills that makes him so special. After school he worked for 4 years for Prof J.C. Coetzee who was a professor in Anthropology at RAU helping him to obtain data for research. 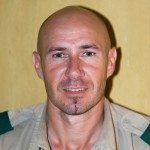 He then went back to his roots working at Elephant Plains Game Lodge in the Sabisand wildtuin for the next 13 years where he obtained his Local guide qualification, Trails guide, Advanced weapon handling and Viewing potentially dangerous animals on foot certificates. He joined Pondoro in 2009, got his Fgasa Level 1 and rest as they say is history. His favourite animal at Pondoro is a leopard male called Cheeky Boy. Sam was was born and raised in Newington Village next to Sabisands Game Reserve where he resides to this day. 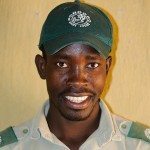 He started his career as a barman and waiter at a lodge in Timbavati Nature Reserve. His talent and love of animals was quickly spotted and he was soon promoted to become a tracker. He later joined a lodge inside Sabisands Game Reserve where he perfected the art of tracking and he stayed and worked there for another 10 years. During his employment he acquired his Level III track and sign as well as Level III trails qualification. He also recently passed the FGASA level I qualification. His favorite animals are giraffe and leopards.